How much do WhatsApp voice calls actually cost? 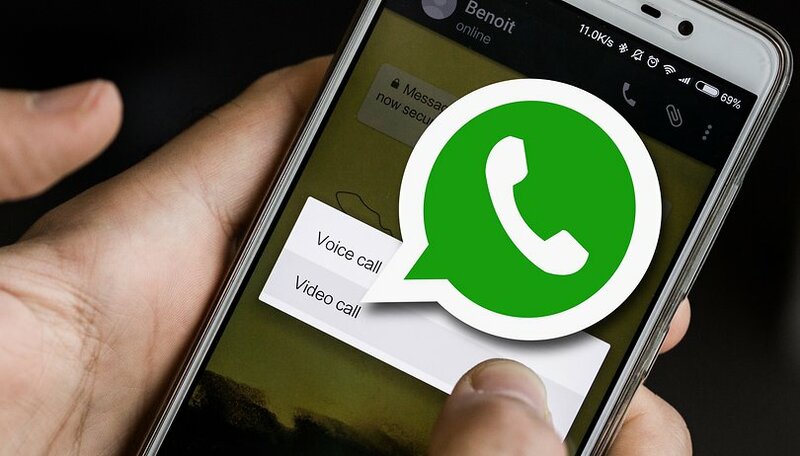 Sure, WhatsApp voice calls are theoretically free, but the internet itself is not. If you're sitting in a cafe sucking up free Wi-Fi then there is no cost involved at all, other than the overpriced Chai latte you're probably sipping. But if you're using your own data connection then you will of course be spending money in the form of data allowance when you make WhatsApp calls. So today we're taking a look at how much data WhatsApp calls use so you can calculate the actual cost. The first thing you're going to want to know is how we came up with our figures. We made a series of WhatsApp calls and measured the data consumption with two tools: the figures given by the Android system itself and an app that measures data rates called Data Monitor. We provide both figures below and averaged them out (along with averages of the various calls we recorded). We're not attaching a specific dollar figure to this test because every mobile plan is different, but the averages we got should at least give you an idea of whether or not relying on WhatsApp for voice calls is actually economically better than using traditional call minutes. Another thing to keep in mind is the relative scarcity of unlimited data plans but the ubiquity of unlimited (or a high number of) included call minutes. Our calls lasted for six minutes and we ran our tests on LTE. The data consumption varied quite widely, but seems to be roughly in line with other results we've seen out there. Data Monitor produced results that ranged between 800 KB – 1.3 MB with an average of 960 KB per minute. The Android system gave us a lower average of 600 KB per minute. Even if you average these two results it is pretty clear that, for us at least, somewhere 800 KB/minute is definitely not something we would want to be relying on for calls. At these data rates there is no way we would use WhatsApp calling to replace our traditional voice calling as the cost is just too high and we value our included data for other things. If you can limit your WhatsApp calling to Wi-Fi connections however, then there's no reason not to make use of the service. While our test figures may give you an idea of how much WhatsApp voice calls cost us, it's much better if you conduct your own test to find out how much they cost you. Each data plan is different, network speeds are different and so on. So you can easily replicate our test and get your own cost analysis. Of course, data charges apply whether you are making or receiving WhatsApp voice calls. 1. First, you're going to want to test your network speed. Install Ookla Speed Test on your smartphone and run a few tests at different times of day, both indoors and outdoors to get an average of your connection speeds. Of course, you want to be testing your phone data rates, not your Wi-Fi speeds. 2. Next, install an app to measure the data volumes of individual apps. We used Data Monitor but you can pick any that you like the looks of. 3. Now you need to make a series of test calls. Theoretically they should be as identical as possible, but duration is the main thing. Of course if you make calls primarily on your data connection in a couple of particular places, they would be the best places to conduct your test calls for better real-world results. 4. Each time you place a call, check your data monitoring app and record the results. 5. Also, go into your Android settings and record how much data the system itself said was transmitted. This will help you average the results. The way we did this was going into Settings > Data Usage and recording the forgeround datafigure for WhatsApp immediately before and after making each call. Assuming you don't get a dozen messages during the test call the change in figure should be roughly voice call-specific. 6. Once you have your test calls and figures recorded, you want to add them all up an average them all out to get a per-minute figure. 7. Then take a look at you carrier plan and calculate how much each MB cost you. You can then make a simple calculation to figure out just how much the average WhatsApp voice call costs you, both in data consumption and actual cost according to your particular plan. Do you think WhatsApp voice calling is competitive? How much does an average minute cost you? Question to the author of this article; did you even enable the data restriction option in your WhatsApp settings? Because that would make a significant difference in your findings..
From 1st day, we could not connect voice call from WhatsApp. Can not hear voice from other side & other party also have same problem. I've got unlimited talk, text And 4g lte data..
And honestly, whats app data consumption is the least of my worries. no it's not a bad idea, you get a lot of 3g data besides too much data via wifi from your broadband, if you've 3g data (on daily bases or even monthly bases) what's it for? just consume it. I only use Whatsapp for SMS. Have need for the voice side of it as I get buckets of free minutes per month on my $16 / month Skinny carrier plan..
You're going to hate me. 180min // 300SMS // 1mbps connection (3G) but with unlimited data usage :) (I normally use more than 20Gb/month). For US$17. Checkmate! 3G / 5GB with 3-6MBPS, (after $0,003 per 1 MB) / Free voice 120 MIN / Free 9000 SMS / Package cost = $2,5 ... comming soon LTE. How about unlimited everything for an equivalent of $10? Ehh, I got unlimited data at 21mbps for $15/mo. WA calls are quite nice. So is everything else. I can share my net from my cell to my laptop and watch some fullHD stuff while downloading gameupdates via steam. Me desktop 100/100 mbps net is free tho, status perk.